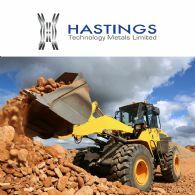 Hastings Technology Metals (ASX:HAS) is pleased to announce that it has appointed Mr. Kok Hoong Leong as Project Director for the Yangibana Rare Earths Project. The Board of TUC Resources Limited (ASX:TUC) is pleased to offer Shareholders a free Bonus Option Issue on the basis of two Options for every five Shares held at the Record Date. 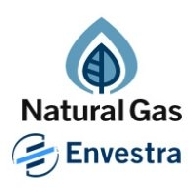 The Board recognises and greatly appreciates our loyal and supportive Shareholders. It is intended that this additional security will provide leverage to improved share price performance, particularly in the event of what we hope will continue to be successful exploration at the Stromberg Heavy Rare Earth District. 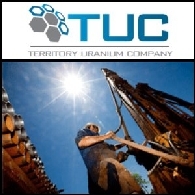 TUC Resources Limited (ASX:TUC) is pleased to report that analyses of four drilling samples from the Stromberg Prospect has shown that the rare earths are contained in the mineral xenotime. 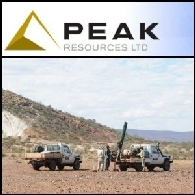 Peak Resources Limited (ASX:PEK) is pleased to report encouraging assay results received from an additional 15 drill holes of the 2011 resource drilling program currently in progress at the Ngualla Rare Earth Project in southern Tanzania. 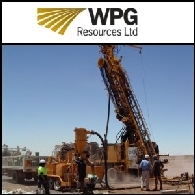 Peak Resources Limited (ASX:PEK) report highly encouraging assay results received from the initial 13 RC drill holes completed during the November - December 2010 drilling campaign at Ngualla. 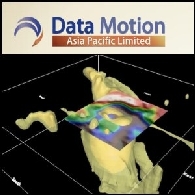 Galaxy Resources Limited (ASX:GXY) (PINK:GALXF) is pleased to announce positive results from a review of the Company&apos;s 100% owned Ponton Rare Earths Project ("Ponton Project"), which has been held by Galaxy since 2003. 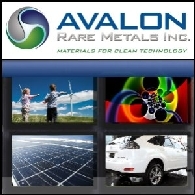 In this Industry Bulletin, we present some of the highlights from the 6th International Rare Earths conference held in Hong Kong November 9th-11th, and the Critical & Rare Earth Summit III held in Washington DC on October 25th-27th, 2010. At both conferences, rare earth elements ("REE") supply security was the &apos;front and centre&apos; issue. The rare earth sector has attracted much attention in the last few months due to China&apos;s significantly reduced export quotas for the second half of 2010 and trade concerns prompted by broader geopolitical and economic policy issues. Australian Market Report of September 29, 2010 includes; Lynas Corporation (ASX:LYC) signed Rare Earths supply agreement with Japan; Olympus Pacific Minerals Inc.(TSX:OYM) (ASX:OYM) (OTCBB:OLYMF) is to increase the Bau Gold Project ownership to 93.55%; African Energy Resources (ASX:AFR) will commence a Resource Definition Drilling at the Sese Coal Project in Botswana; Sylvania Resources (ASX:SLV) is to own 100% interest in Sylvania Dump Operations. 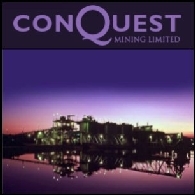 Australian Market Report of September 6, 2010 includes; Lynas Corporation (ASX:LYC) significant increase in the Mineral Resource estimate for the deposit with elevated heavy Rare Earths oxides, Pike River Coal (NZE:PRC) second export shipment scheduled to depart Port of Lyttelton for India, Southern Uranium (ASX:SNU) has located new high-grade iron outcrops that further advance the iron ore prospects of the company and Jatoil Limited (ASX:JAT) entered into a Heads of Agreement to acquire significant coal assets in Kalimantan, Indonesia. 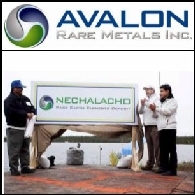 Avalon Rare Metals Inc. (TSE:AVL) (OTCQX:AVARF) is pleased to announce the results of a revised 43-101-compliant resource estimate for the Nechalacho Rare Earth Element ("REE") deposit, Thor Lake, Northwest Territories, Canada. 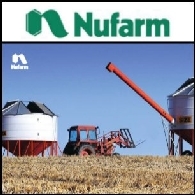 The revised resource estimate was prepared by independent consultant Scott Wilson Roscoe Postle Associates Inc. ("Scott Wilson RPA"), as part of the Prefeasibility Study ("PFS"), that it is preparing for the Company. 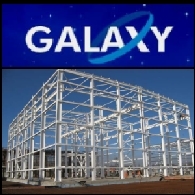 The PFS is nearing completion and the results of the economic analysis will be disclosed within the next two weeks. 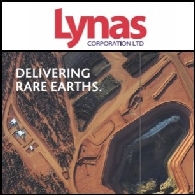 FINANCE VIDEO: Lynas Corporation (ASX:LYC) VP Business Development Matthew James Talks To Brian Carlton on Rare Earth Projects. 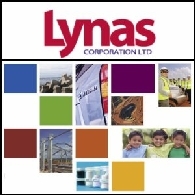 Lynas Corp. (ASX:LYC) Tuesday said its estimated cost to complete phase 1 of the concentration plant in Western Australia and advanced materials plant in Malaysia is A$339.2 million, up from previous estimate in March of A$302.7 million. This is due to a significantly higher Engineering, procurement and construction management fee, which has increased to A$136.4 million from A$100 million in previous estimate. 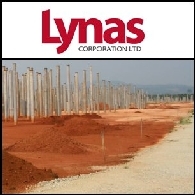 China&apos;s tightening rare earth export may affect the A$500 million takeover of Australian company Lynas Corporation (ASX:LYC) by a state-owned company. 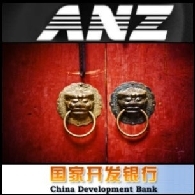 Yesterday Australian shares slightly fell on weaker base metal prices. The benchmark S&P/ASX200 index dropped 16.8 points, or 0.4 per cent, at 3766.9 points while the broader All Ordinaries index had shed 16.4 points, or 0.4 per cent, to 3767.8.